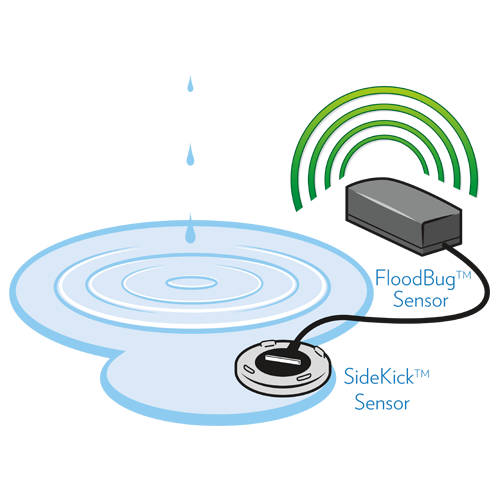 The wireless or wired sensor that detects the leak quickly sends a message to the Valve Interface Panel (VIP). 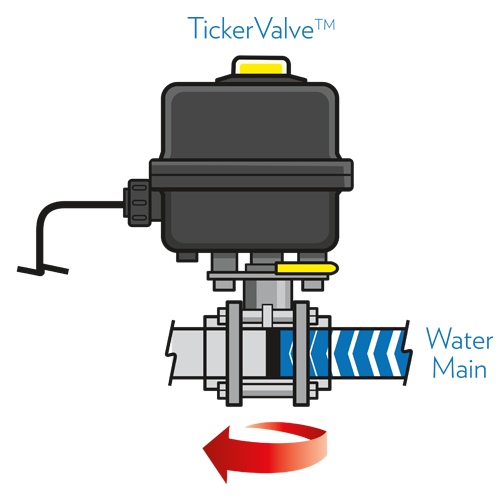 The Valve Interface Panel (VIP) receives the signal from the sensor and notifies the TickerValve™ of the leak. The TickerValve™ reacts by turning the water off to prevent further damage to your valuable property and possessions. The Valve Interface Panel (VIP) communicates to you through ionleaks.com to let you know that a leak was detected. Today’s businesses contain more water sources than ever before, leaving your property vulnerable to potentially disastrous leaks. Thanks to PipeBurst Pro™, destructive commercial floods are more preventable than ever. 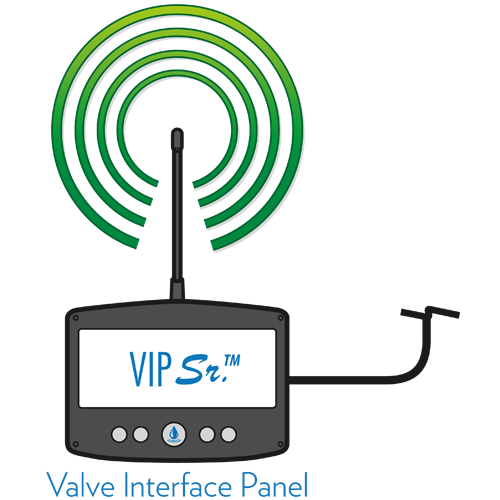 We can tailor a detection and shut-off system for your business to provide maximum protection. 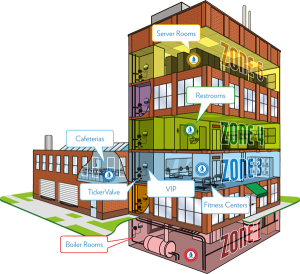 Install multiple systems in zones, as show in the building illustration, to avoid shutting off water to an entire building in the event of a leak. For added protection, integrate PipeBurst Pro into your security system so you can receive remote alerts. PipeBurst Pro offers different levels of installation to protect what matters most to your business. Water damage is the number one source of property claims for owners of office buildings, hotels, retail establishments and other commercial structures, according to Zurich North America. Don't leave protection of your business to chance. Be proactive with PipeBurst Pro.